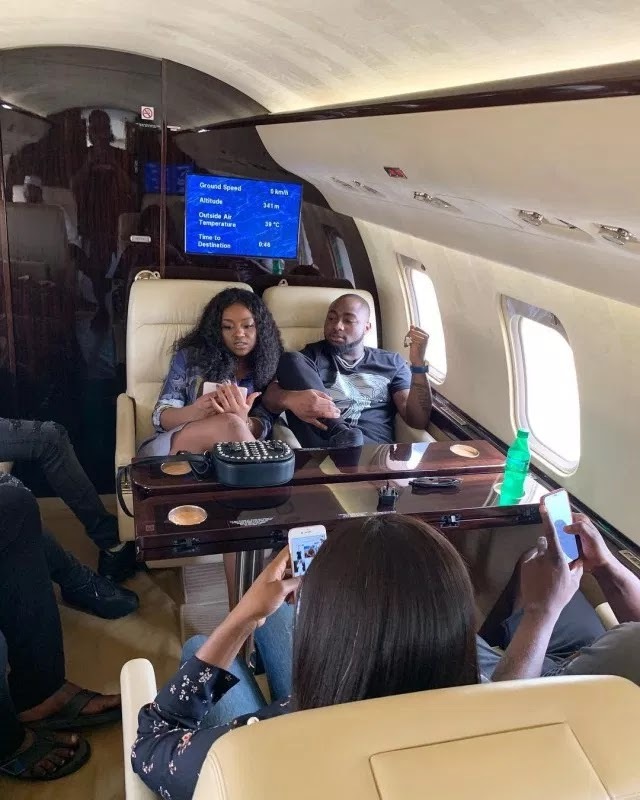 Famous Nigerian musician and boyfriend to Chioma,Davido, is known for rewarding himself anytime he has the opportunity. Recently it was reported here that the musician bought himself a Bentley Bentayga worth millions of naira. 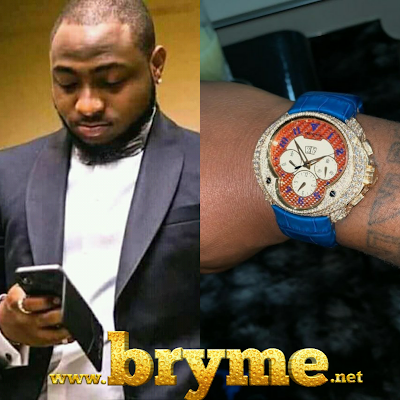 This time,he shared a photo of him on his Instagram page,showing off his newly acquired "diamond encrusted Franc Vila wristwatch". 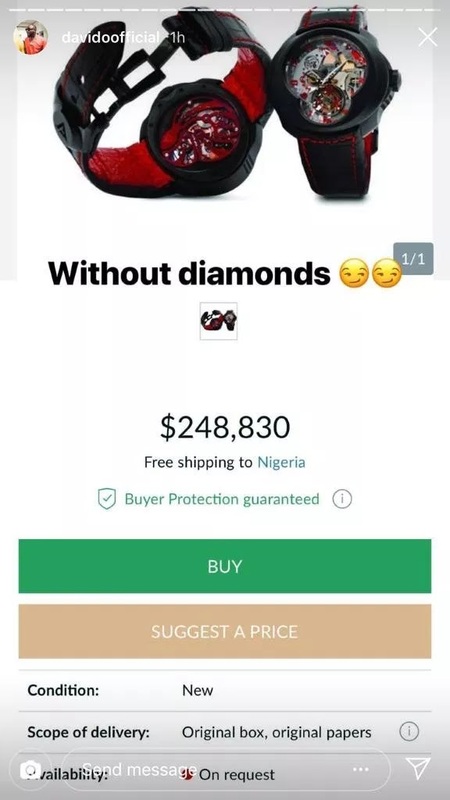 Information gathered shows that the wrist watch worth millions of naira, not only that he later shared a photo of a similar wrist watch but without diamonds which costs $248,000 thousands which is in Naira equivalent to approximately Ninety Million, Two Hundred and Seventy-Two Thousands.